For nearly two millennia, the holy men and women of Eastern Christianity have built lives of reflection, humility, and constant connection to God around a simple sentence, the Jesus Prayer. Now, Norris J. Chumley—a documentarian and professor—reveals the history, practices, and abiding wisdom of this mystical tradition to the rest of the world. Chumley traveled to some of the early Church’s holiest sites with the Very Reverend Dr. John A. McGuckin, a priest and professor—to St. Anthony’s Monastery in the Egyptian desert and St. Catherine’s Monastery on Mount Sinai, to convents in Transylvania and to monasteries in Russia, the Ukraine, and Greece—in search of Christianity’s first mystical tradition and its modern-day practitioners. The monks and nuns he met taught him how to move through the stages of the Jesus Prayer, and how it can foster an unceasing, and ever deepening, conversation with God. 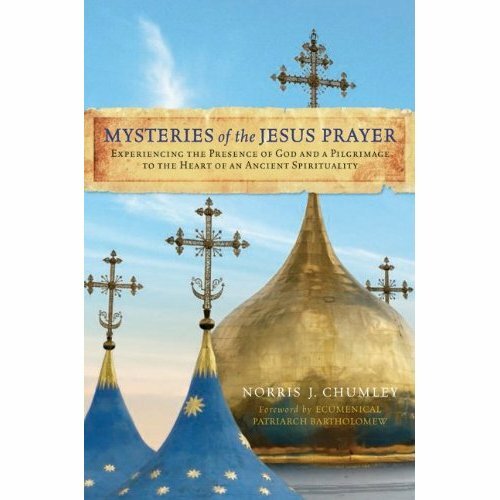 Enriched with stunning color photographs of these holy sites, where photography is rarely allowed, Mysteries of the Jesus Prayer reveals the powerful theology packed into this prayer’s few words.